It is good value and all items are hard wearing which means they last a long time. It never goes out of fashion, meaning you're less likely to disagree with your child about what they will wear to school. When the children are out on trips in busy places they can be easily spotted by their teacher. It helps your children to be proud of their school. 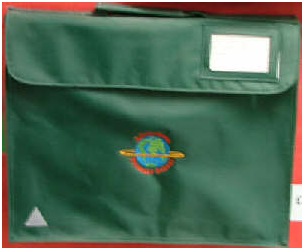 These durable book bags are really useful for carrying and protecting not only reading books but also homework, letters and even some PE kit. 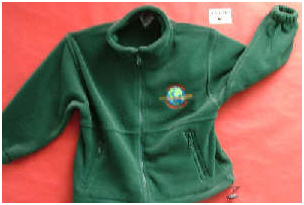 This hard wearing fleece is lovely and warm and can be worn instead of a coat when the weather is not too cold. We also sell a range of good quality second hand clothes. 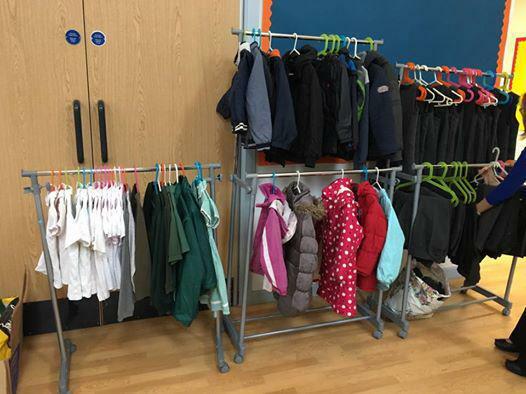 Items are 50p each or £2 for a full set of uniform.